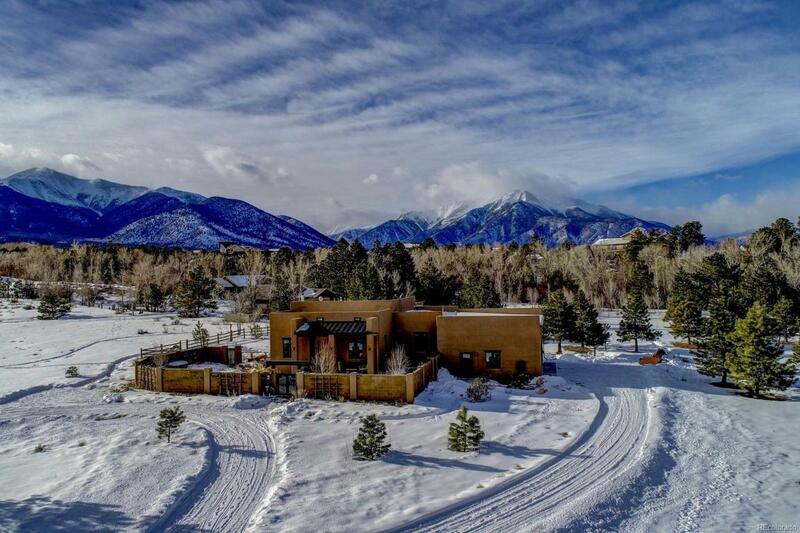 This riverfront custom home in Chaffee County's premier neighborhood, Mesa Antero is situated on 3.4 partially wooded acres adjoining Brown's Creek. 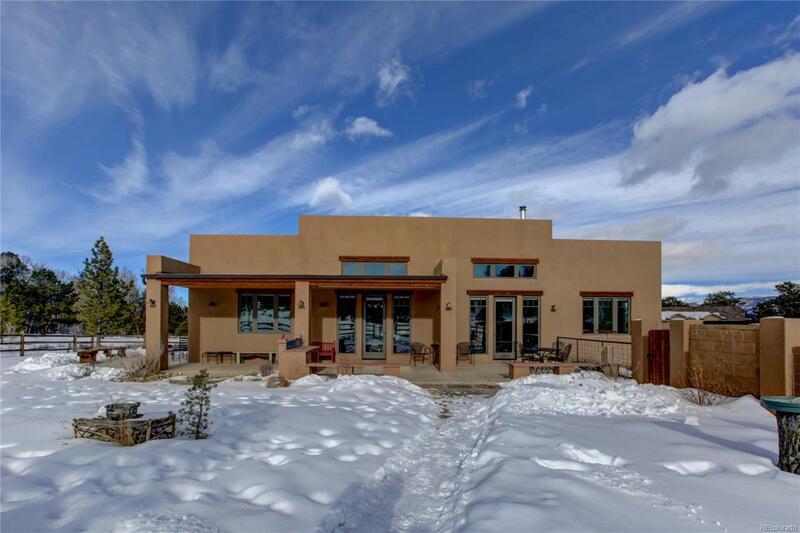 The property features a full circular driveway, 1000 feet of walking trails (note all of the snowshoe prints in the snow) and over 300 feet of private creek frontage. 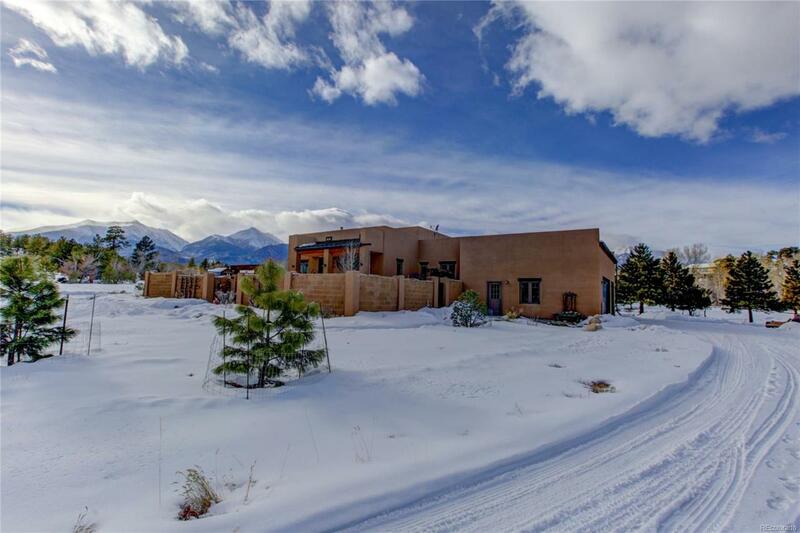 Take in the magnificent views of the Sawatch and Collegiate Mountain Range from your kitchen or from the private covered patio. A large great room with a wall of windows and tall ceilings to help blur the lines between indoors and outdoors. Enjoy the warmth of your wood stove from the large open kitchen of knotty alder cabinets and stainless steel appliances. A large pantry is located next to the kitchen. 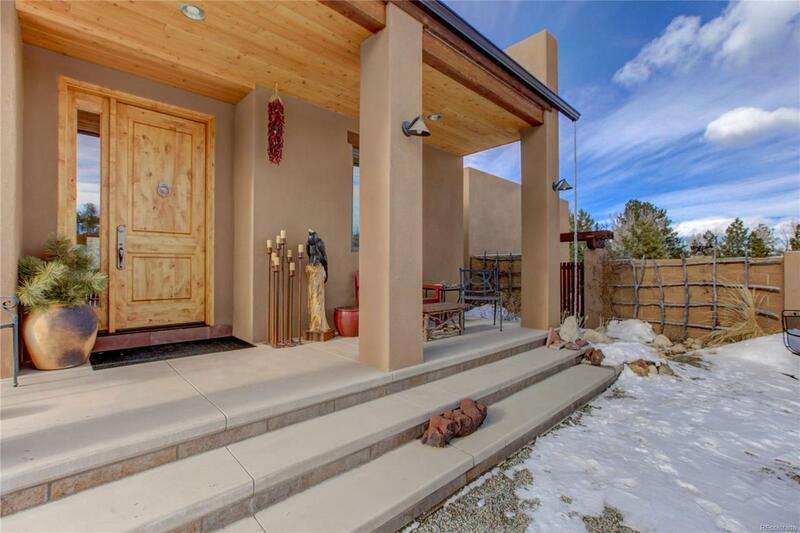 This home is 2,162 square feet with a main floor master with an ensuite bathroom, 2 additional bedrooms, a study, and another full bathroom. Don't miss the private patio off of the master suite! A large three car garage with a workshop for your toys!